A lot of folks I know who rent are still hot on the idea of homeownership, but it’s important not to overlook all the costs involved with purchasing a piece of a property. It’s not uncommon for prospective home buyers to simply look at the monthly mortgage payment, otherwise known as the principal and interest payment. But this wonderful figure (that is very low thanks to rock bottom mortgage rates) ignores the homeowners insurance and property taxes that must be paid, often monthly if there’s an escrow account. There’s also the costly HOA fee, which can be several hundred dollars a month for a condo. 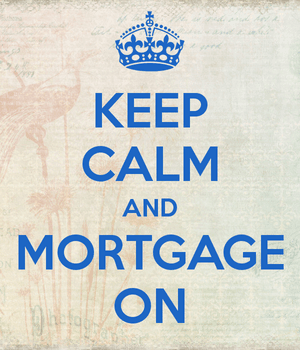 Or mortgage insurance if you put less than 20% down or go with an FHA loan. Once everything is calculated you might be wondering if buying a home is still worth it, or even something you can afford. If the idea of all these costs stresses you out, you’re not alone. In fact, you’re the majority, per the Zillow 2015 Moving Survey, which found that extra or hidden costs were the most stressful aspect of ownership. Why? Because they aren’t insignificant costs. Zillow found that the average American homeowner pays $9,477 in annual hidden costs and maintenance. Broken down, $6,042 of that tally goes toward mandatory homeowners insurance, property taxes, and utilities. Yes, you’ll also need to foot the tab for water and trash, unlike when you rented and your landlord made those costs magically disappear. The remainder is for annual optional maintenance costs, assuming you want to keep your place in good shape and not in need of a major overhaul years down the line. Looked at another way, you’d need to add about $800 to your monthly budget to consider these costs. So if you think you can afford that house or condo, make sure you factor in these extra costs as well. And this probably ignores the fact that you’ll be buying all types of new furnishings for your news digs as well. Remember, it’s good to have a cushion. The good news is that just like property values, these costs can be considerably lower in certain parts of the country. For example, though median home prices in Phoenix and Philadelphia are fairly similar at $201,800 and $200,500, annual hidden unavoidable costs are nearly $4,000 higher in the City of Brotherly Love. In other words, it matters where you buy from an affordability standpoint beyond the purchase price. And what you buy, such as house vs. condo. For the record, the highest annual hidden unavoidable costs ($9,413) can be found in Boston-Cambridge-Newton, MA-NH. The lowest can be found in Phoenix-Mesa-Glendale, AZ ($4,513). The takeaway is that while homeownership can be really rewarding, there is a lot to consider (and potentially overlook) when you own a big hunk of land and a large structure full of expensive stuff. Read more: 35% of homeowners don’t know their own mortgage rate.